[dropcap]T[/dropcap]hose words of the “World’s Strongest Diet and Energy Aid” are firmly printed on the label of the supplement. This is a very audacious statement to make. One should not just read this and automatically believe it. Phenadrine is produced by APS and should be taken with extreme caution. This is a fat burning supplement that was designed for seasoned athletes and professional bodybuilders. 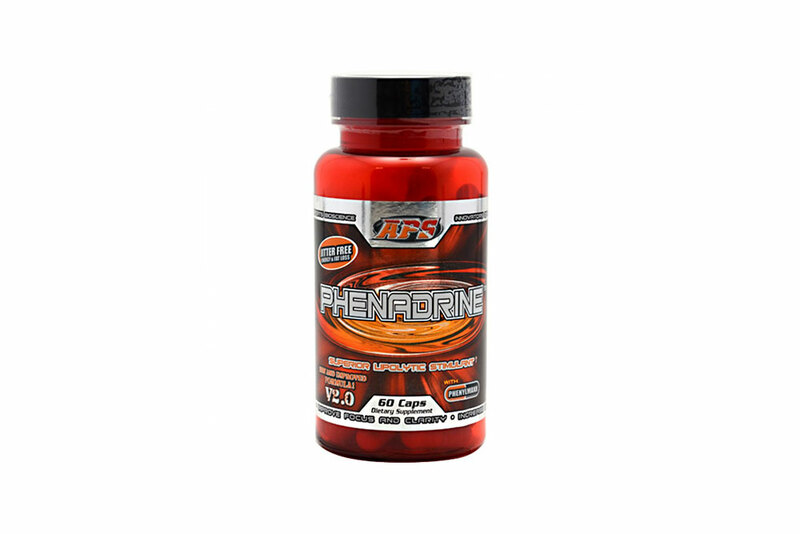 The combination of thermogenics and energy building nutrients within Phenadrine provides the users with more energy to perform for longer during workouts. This is meant to be taken before the workout has begun. To supply and assist the athlete or whoever, with enough energy, stamina, and focus to complete their exercises from the beginning to the end. Phernadrine unlike other many fat burning pills, tablets, and supplements clearly warns its users about its strength and potency. The thermogenic and nootropic effects are said to be very high and because of this pre-caution is advised when taking the product. APS Phenadrine is not only concerned with the health of its users but also the legal and illegal use of its substance. The use of APS Phenadrine can lead to failed drug test by certain governing bodies in different sports. So this is of extreme importance to check out when considering this product as your source of burning fat and increasing energy. By acknowledging this fact APS Phenadrine is informing its users and also protecting their supplements name from any illegal interference. The effect from APS Phenadrine on the body can be felt almost immediately. During the workout one can feel the pill working throughout their body. Phenadrine can increase your focus and energy and some have claimed this to be a positive yet some have claimed that the supplement interferes with their mental. APS Phenarine can bring about concern among many users and non-users as it is has been linked with out-breaks of aggression. People are also concerned that the use of this drug can get them disqualified and cause problems due to some of the unpublished ingredients it may contain. Acacia Rigidula Extract contains methamphetamine. Because of the methamphetamine users can fail drug screens and sports doping tests. Control and caution is of extreme importance when considering to take APS Phenadrine. The pill is highly potent and the ingredients have caused health problems in the past. Riding a bike or going for a hike are good natural fat burning options to consider as an alternative. Seek a doctor’s consultation before using Phenadrine. Try Flat Belly as a natural alternative.